A confession to begin with: My relationship with Red Hot Chili Peppers (RHCP) begins and ends with their genre-breaking 1999 album Californication. That is not to say I’ve not heard their other releases—from 1991’s Bloodsugarsexmagik to the 2005 double-disc Stadium Arcadium—I’ve heard them all, but nothing they’ve done before or after Californication has really matched up. 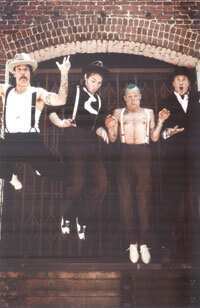 With astounding song-craft gymnastics that showcase the band’s immense and varied talent, and their almost 30-year experience in the business, RHCP immediately slip back to old school in the next track, Factory of Faith—rapped vocals, fast, funky drum and bass—the only thing missing? Frusciante’s tastefully surreal and layered guitar work. Klinghoffer does not make much of a mark, and perhaps that’s to be expected when you are a newcomer to a band whose other members have been working together for two decades, since 1989. Kiedis, Flea, and drummer Chad Smith are in their element in this album, spewing out trademark RHCP songs—energetic and groovy, sophisticated and punk-soaked all at once. You have to give it to them—in terms of staying power, no rock band can match up to them. Predictable, but at least it’s not tepid. Hip hop and reggae rhythms are also thrown in here and there to keep things moving in the album, but you’ve to wait till track 13, Meet Me at the Corner, for a real gem in a sea of same-old, same-old. Klinghoffer is at his best in Meet Me at the Corner, with some textured and tonal guitar work and arpeggiated riffs. Flea layers on both melody and rhythm with his bass, and there is a strong harmonic structure to the song that lifts it above the ordinary.